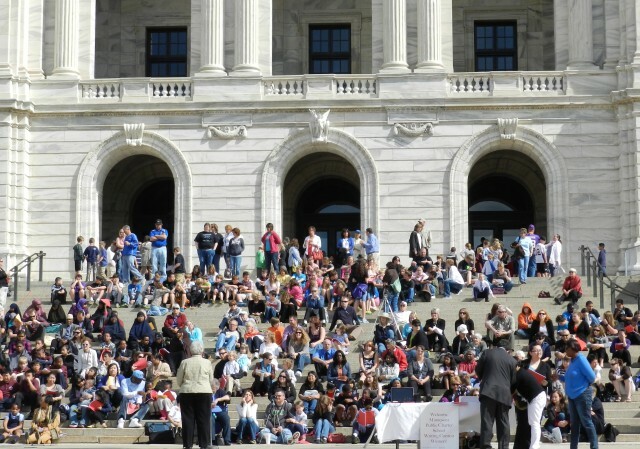 Presented at the Minnesota State Capitol Building, sponsored by the Center for School Change and its partners in conjunction with National Charter Schools Week. Students need more opportunities to share their writing, to compete, and to be published. 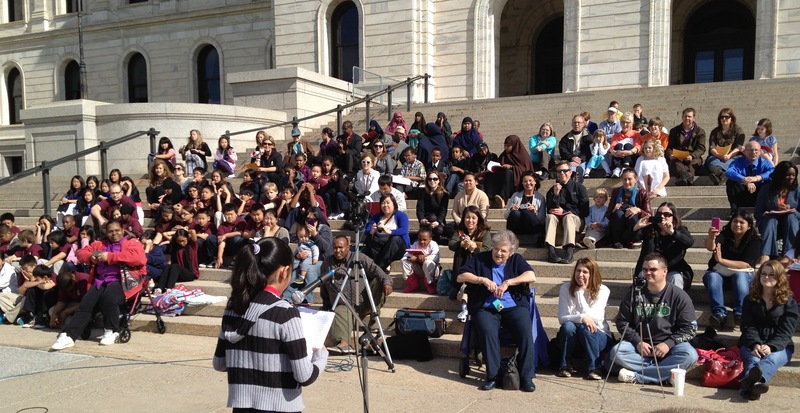 We also need more opportunities to share what’s happening in Minnesota Charter Public Schools. Those are the two major reasons why the Center for School Change (CSC) created the Minnesota Charter Public School Essay Contest in 2005. Early each year, we send a prompt to all of Minnesota’s Public Charter School directors. Students are given until mid-March to write and submit their essay. Every year, the Center for School Change staff and Macalester College student volunteers read, and re-read each essay looking for writing that addresses the prompt, is interesting, eloquent, humorous, creative, distinctive, insightful and/or compelling. We choose essays that are thoughtful and exhibit excellence. In addition, essays must be within the age-level word count maximum. 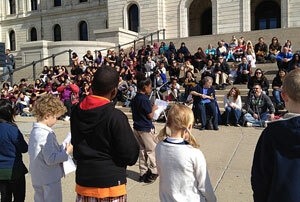 During National Charter Schools Week in May, we gather at the steps of Minnesota’s State Capitol and honor the winners. Students, teachers, administrators and family members from all across the state gather to honor and support these outstanding writers. Thanks to TCF Foundation for providing cash gift cards to the winners. Each year we are amazed by the variety and thoughtfulness of the essays submitted. Each annual booklet of winners is only an example of the amazing work of Minnesota’s young writers. We invite you to read the winning essays and enjoy learning about how education can really help change students’ lives. Congratulations to all the past winners and we look forward to seeing this year’s winners at the Capitol in May!